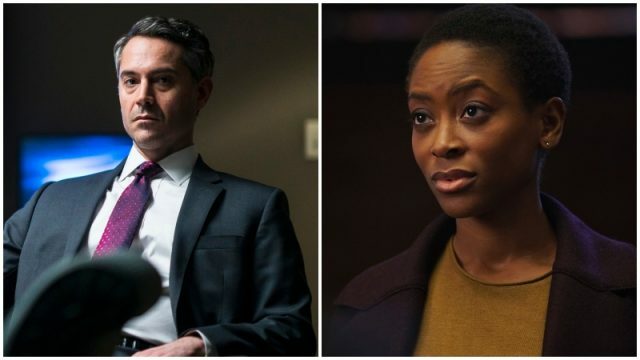 Following the casting of Jeremy Irvine and Brian J. Smith as Treadstone‘s male leads, Deadline reports that Omar Metwally (The Affair), Tracy Ifeachor (Quantico) and South Korean actress Han Hyo Joo (The Beauty Inside) have officially signed on as series regulars in the USA Network’s Jason Bourne spinoff series. Gabriell Scharnitzky (The Game) and Emilia Schüle (Berlin Station) have also joined the cast of the action-drama. Metwally will play the role of Mr. Edwards with Ifeachor set to portray Tara Coleman. Mr. Edwards is CIA agent who was ostracized by his colleagues after making a decision that left a fellow operative dead. While Tara is an investigative journalist who has turned her back on her career after getting too close to a dangerous truth. Now she must put the past behind her to get to the bottom of an international conspiracy. This marks Han’s US acting debut and she will play the character of SoYun, a wife and mother who must make difficult choices that compromise her quiet family life in North Korea after she starts to learn about her own secret past. Meanwhile, Scharnitzky and Schüle will be portraying the roles of Petra and an unnamed Russian KGB agent, respectively. Petra is described as no-nonsense Russian patriot who has committed her life to her country but has deep-seated knowledge of Russian tactics that come into play when she is betrayed. Treadstone explores the origin story and present-day actions of a CIA black ops program known as Treadstone, a covert operation that uses behavior modification protocol to turn its agents into nearly unstoppable superhuman assassins. Jason Bourne, the central character in Universal Pictures’ Bourne film franchise, was a product of the program. The series follows new sleeper agents across the globe as they’re mysteriously “awakened” to resume their deadly missions. Heroes creator Tim Kring serves as the writer and executive producer. Ramin Bahrani will direct the pilot and also serve as an executive producer. Ben Smith and Jeffery Weiner will executive produce on behalf of Captivate. Justin Levy will executive produce alongside Bradley Thomas for Imperative Entertainment. The Bourne series first exploded onto cinemas way back in 2002 with Doug Liman’s The Bourne Identity, starring Matt Damon as the titular Jason Bourne, a man suffering from amnesia who must put the pieces of his life back together while using his exceptional fighting skills to thwart a CIA conspiracy. The film was a huge hit that spawned three sequels, most recently 2016’s Jason Bourne, which, although not quite as well received as its predecessors, still grossed $415 million worldwide. A spinoff film titled The Bourne Legacy starring Jeremy Renner and directed by Tony Gilroy was released to middling reviews and average ticket sales in 2012. The post Bourne Spinoff Series Treadstone Adds Five to Cast appeared first on ComingSoon.net.